The White House has just rejected a modest proposal to secure resources and funding to begin construction of a Death Star by 2016. 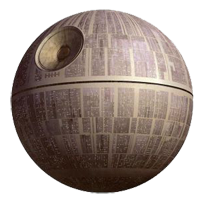 White House science and technology adviser Paul Shawcross shot down the idea sighting the $850 quadrillion dollar price tag, plus pointing out that the Death Star has a “fundamental flaw that can be exploited by a one-man starship.” I suppose that is a pretty good point. The petition and official White House response can be found here, and while humorous, it also points out many of the past and forthcoming accomplishments the US space program has made, as well as the new private initiatives on the horizon. You can also read more at this Washington Post article.